Music used in this Podcast: “Sunshower” from the Leyland Gordon Group’s Time Dances CD. Comments: It’s been a sad month here at the Busker Hall of Fame since news of Robert Nelson’s death was made public on August 27, 2012. 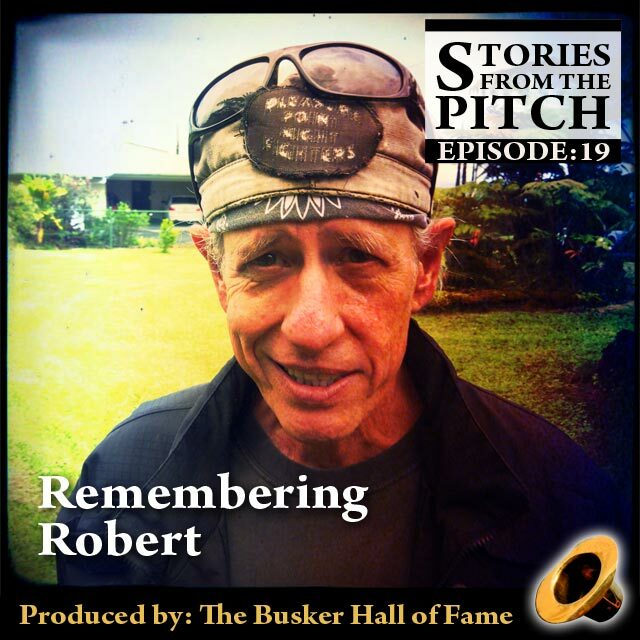 We were gearing up to start a second season of shows, but that all came to a screeching halt while we all paused to reflect on the effect that Robert Nelson has had on our lives and on the Busking community world wide. This entry was posted in Mike Wood, Robert Nelson, Street Performing. Bookmark the permalink. I miss this guy… So glad I got him to get some of his stories recorded before he was gone.